Dubai Municipality has advised property owners renting out their apartments to monitor their tenants and report any breach of contract. # Choose a certified and approved lease contract by the concerned authorities in the emirate for the agreement between you and the tenant. # Select the type of individuals living in the housing by lease contract (housing only for one family). # Do regular monitoring for the house to make sure the tenant is committed to the agreed contract. # Inform the concerned authorities in the emirate in case the tenant breached the contract terms, such as residing bachelors or more than one family without your knowledge. In May 2016, Emirates 24|7 reported that the municipality had initiated a “bachelor eviction drive”. The three adverse impacts of overcrowding an apartment would be on the region’s infrastructure (sewage networks, electricity grids, parking); the society (customs and traditions) and the life span of the houses (parallax distortion urban aesthetic). The municipality has been inspecting areas to remove bachelors from residential areas and were urging residents to notify the authority if they spot bachelors living in off-limit areas. The inspections are random and not limited to when people complain of bachelors or families sharing homes. The fine is Dh10 per square foot (minimum fine is Dh1,000 and maximum of Dh50,000) with the person who leased (owner/tenant) responsible to pay the fine. Moreover, companies are not allowed to lease properties for staff accommodation in family areas. A municipality official told this website in 2015 that almost 80 per cent of the villas in the old residential areas such as Al Beda’a, Al Jafeleya, Jumeirah 1, Al Rashidiya, etc. were being leased to bachelors or sharing families. 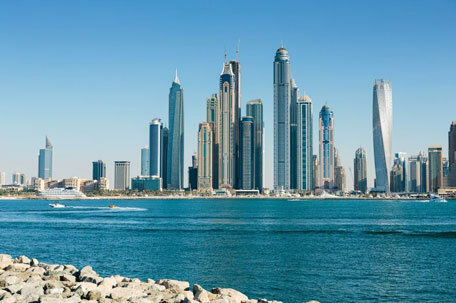 Trakhees, the regulatory authority for the freehold areas such as Palm Jumeirah, Jumeirah Lakes Towers, Discovery Gardens and International City has held campaigns to stop overcrowding in apartments. The maximum allowable occupancy limit for apartments under Trakhees is one person per 200 square feet from the total property area, with violators facing a minimum fine of Dh1,000 or a maximum of Dh50,000.